This content has been translated by Google. The “Take a friend home” adoption fair held last Wednesday (23) at Paraiba’s Liq unit counted with 20 dogs and cats available for adoption, among puppies and adults with no defined breed. Read below the matter of the City of João Pessoa. 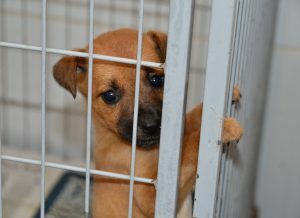 Zoonoses Center promotes exhibition of dogs and cats for adoption with private entities and independent protectors. Source: By Thibério Rodrigues, João Pessoa City Hall. The Center for Environmental Surveillance and Zoonoses (CVAZ) of the Municipal Health Department (SMS) of João Pessoa is holding a show of dogs and cats on Friday (25) and Saturday (26), from 9am to 4pm. adoption. The activity is a partnership with Veterinary Pet Health Clinic and independent animal protectors and takes place at Avenida Presidente Epitácio Pessoa, 2373. Last Wednesday (23), 18 animals won a new home during a fair in partnership with Liq, Costumer Experience company. In all, there will be 35 animals, 20 dogs and 15 cats, between adults and puppies, and some already castrated. “Anyone who adopts animals at these events can take the documentation of the acquisition of the animal in possession, and this owner will have priority for castration of the animal in the Center for Environmental Surveillance and Zoonoses, according to the clinical requirements of the service,” explained Nilton Guedes, manager of Cvaz. In addition to exposing dogs and cats for adoption, the fair also aims to identify tutors who can assist in the care and best distribution of these animals, with safe environments. “For independent protectors, people can help with medicines, rations, cleaning products. It is a way of patronizing the cause and helping those who rescue these animals in situations that are often extremely vulnerable, “said Meire Ferreira, an independent retiree and protector who cares for about 50 animals. The fair will also count on the participation of veterinary doctors and good treatment teams, guiding the public on the care for the well-being and health of canines and felines. Partnership with Liq – Last Wednesday (23), the Cvaz held another fair for animal adoption, and this time, the partnership was with Liq, a company of Customer Experience, to raise awareness of the 1.5 thousand employees of the entity responsible care of dogs and cats and encourage their adoption. In total, 18 animals were adopted from the 20 animals exposed during the event. According to the coordinator of Human Resources of Liq, Everson of Padua, the initiative emerged from the identification of an increase in the number of abandoned dogs and cats circulating around the company. “The result of the fair was very positive, because young and adult animals were adopted and, generally, people do not usually adopt the older animals. In fact, those who adopted had priority in the process of sterilization of their animal, which gave more security to the new caregivers, “he said. Adoption – To adopt an animal, the interested party must be 18 years old, present an identity document with photo and proof of residence, and participate in an orientation on the good and responsible possession. CVAZ – The Center for Environmental Surveillance and Zoonoses (CVAZ) is an agency linked to the Health Department, whose duties are focused on monitoring and reducing health risks to the population, acting through the prevention and control of biological and environmental risk factors. not interfere with human health. For more information, the population can call the following numbers: 3218-9357 or 3214-3459. Access this article in its entirety, click here.